Tomorrow, we will descend on the infamous community of Key West, Florida for an inaugural Texas/Red Dirt festival. What happens when a bunch of Texans and Oklahomans hit the land of Buffett and Hemingway? Well, we plan to document it all. Similar to our trip to Hangout Fest. But, this time it’s all of our music. Tweets, Instagram, interviews, audio, video and more. We plan to cover the fest from many different angles…tourist, musicians, local, fan, media and pure curiosity seeker. Festivals are hard work (shoutout to River Jam-info coming soon! ), even more so in a first year in a secluded locale. 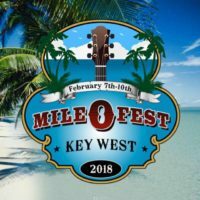 Fear not, the Mile 0 folks have transplanted tons of experts down to the Keys to make sure this thing happens without a hitch. It’s the first of many and we’re stoked to take part. See you in the Keys. I am actually grateful to the holder of thissite who has shared this wonderful article at here. or business brand (< learn 10 ways to improve your SEO with Google+) Google+ is now a necessity. I simply want to tell you that I am new to blogging and site-building and actually savored you’re web blog. Likely I’m likely to bookmark your site . You certainly have great article content. Regards for revealing your web page. I am not sure where you’re getting your info, but great topic. I needs to spend a while learning more or understanding more. Thank you for wonderful info I was searching for this info for my mission. I¡¦m now not certain where you are getting your info, but great topic. I must spend some time learning more or working out more. Thank you for fantastic information I was in search of this info for my mission. Great post. I was checking continuously this blog and I’m impressed! Very useful info specially the last part :) I care for such info much. I was seeking this particular information for a very long time. Thank you and good luck. there’s no need to lay out for a lot of running costs, this means that prices come down, and you can attract more people. Make sure you are firm in pushing the card back in, but aren’t forcing it into the slot. hi!,I love your writing so much! proportion we communicate extra about your post on AOL? I require an expert in this house to resolve my problem. Maybe that is you! Having a look ahead to peer you. Hi there, I discovered your blog by means of Google even as looking for a comparable topic, your site came up, it appears good. I’ve bookmarked it in my google bookmarks. Thank you for another informative site. Where else may I get that type of info written in such a perfect means? I have a project that I’m just now operating on, and I have been at the look out for such information.